Angel Magik Entertainment presents the 3rd Annual BOB FEST 2007 on three Hawaiin Islands. 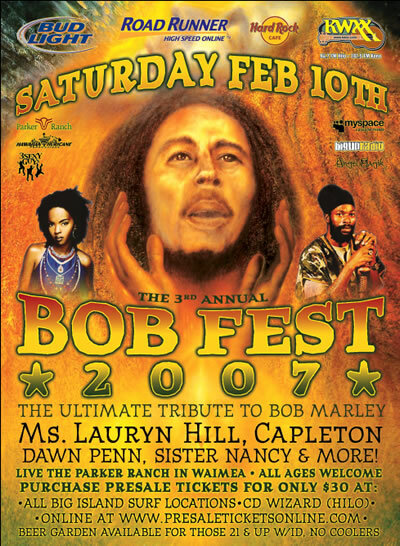 The 2007 BOB FEST features Lauryn Hill, Capleton, Pepper, Dawn Penn, O-Shen, Ooklah The Moc and many more! Come celebrate the birthday of the reggae legend Bob Marley!